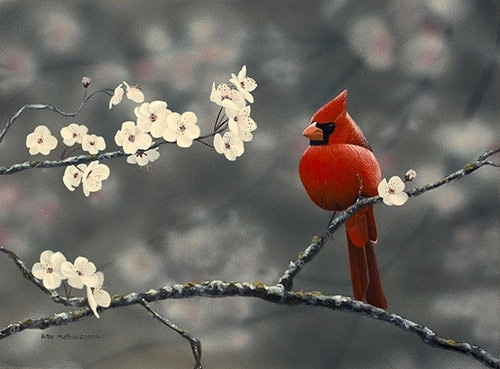 Birds can be the epitome of freedom and beauty. Their small size and elegant structure have been depicted through paintings, and they have inspired many painters across millennia. The painters usually paint them or blend the image with their natural habitat i.e., trees. The green and brown background along with colourful birds can be quite exquisite. The paintings will inspire designers to design or paint landscapes and nature digitally you may also see Flowers Paintings. 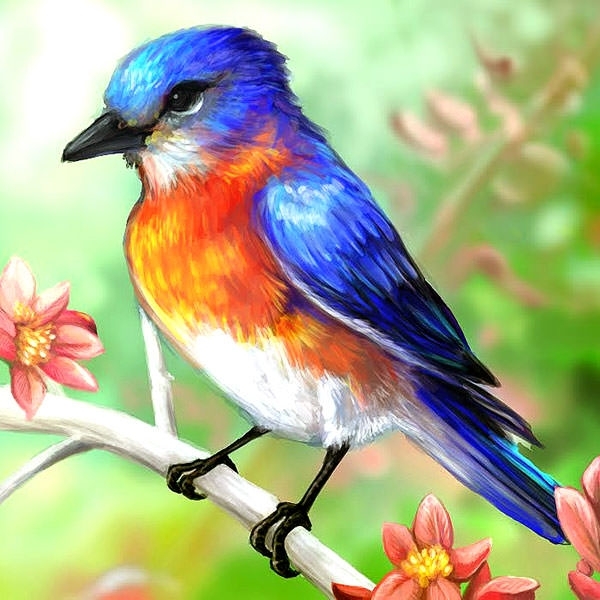 The vibrant bird portrait can be quite aesthetically pleasing for an art enthusiast and also for a designer or a painter. 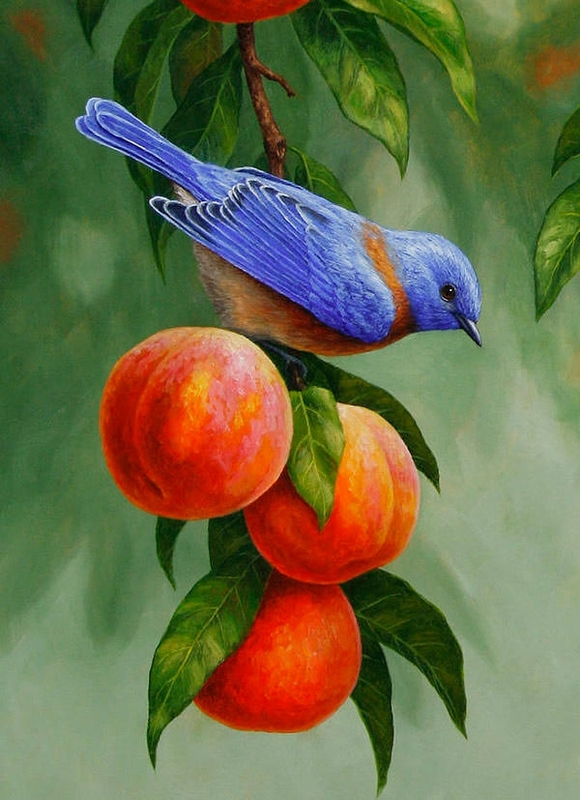 A bluebird sitting on a branch over fruits that are red over a green background, teaches us how the three primary additive colours interact with each other. This can attract the attention of the viewers immediately due to its different colour combination. 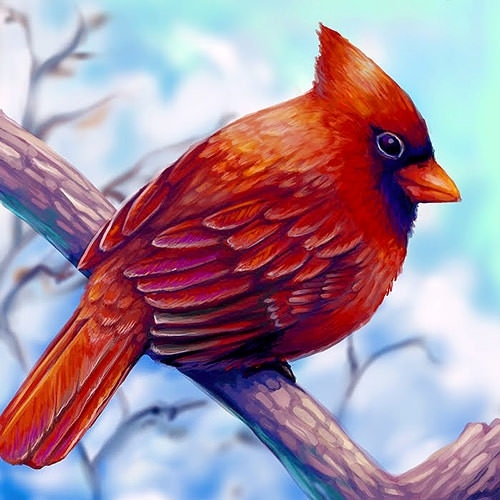 The saturated and vibrant painting has a red bird sitting on a light coloured branch and a brown background. The painting can be printed on paper and framed. Hence one can use it for decoration in the drawing room as well. The colour contrast created by the blue and yellow is quite captivating. This painting can be a lesson about how to use colours and how to separate the foreground and the background. It also uses different shades that can create a different image of the painting. 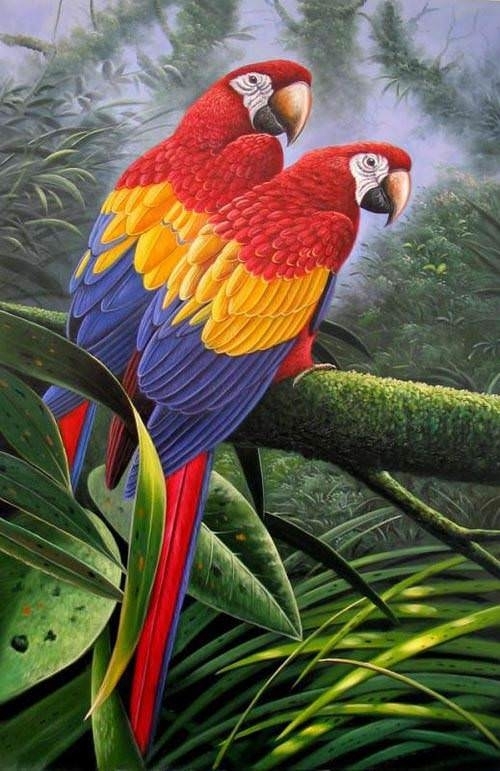 The painting is quite realistic with overtly green foreground and background where only the parrots have a distinctive colour pattern. 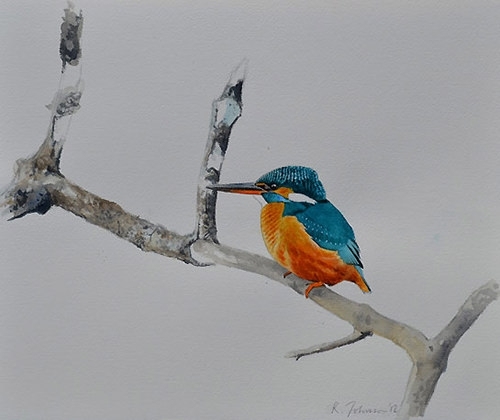 The painting also looks much inspiring to bird lovers. 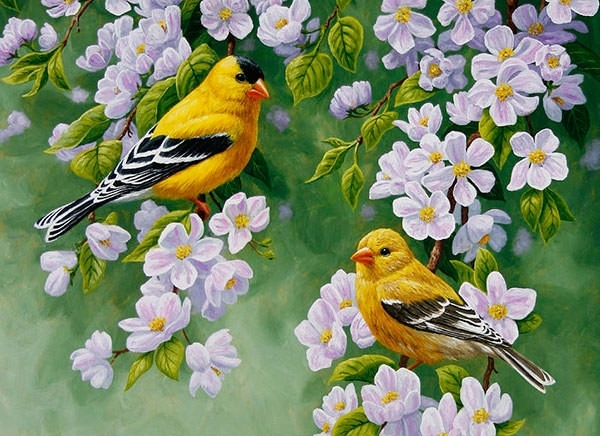 The predominantly yellowish bird painting is quite awe-inspiring because of the perspective and the overall design. This painting can be set as a desktop wallpaper or a smartphone wallpaper. The painting has several colour combinations that can inspire amateur painters too. 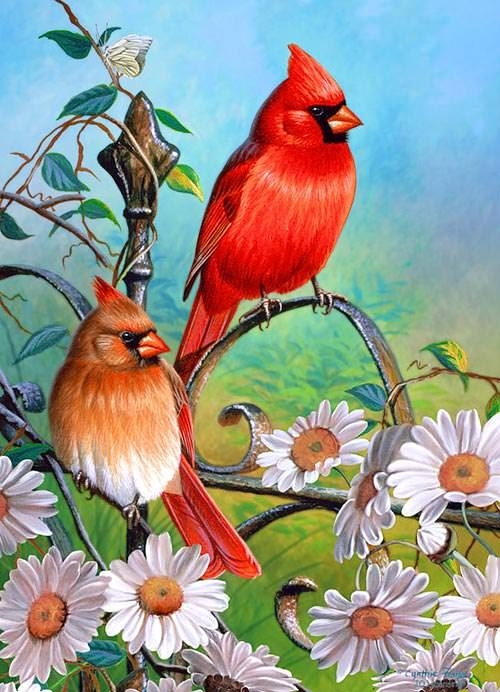 This couple of birds symbolizes relationship and romance. The digital painting can inspire a lot of designers and painters to paint similar images, which can be printed on different kinds of cards. This painting also conveys a beautiful message of spreading love. 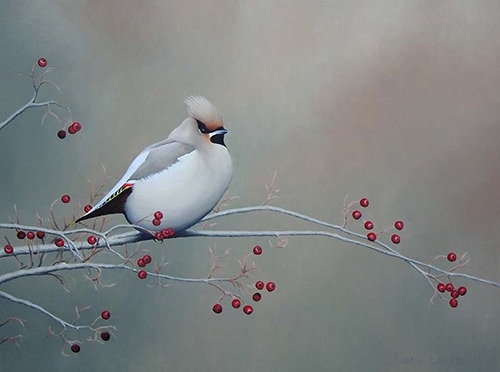 The soft and elegant bird painting has two birds, which are placed in the two diagonally intersecting points according to the rule of the thirds. The birds draw the viewer’s attention towards them. 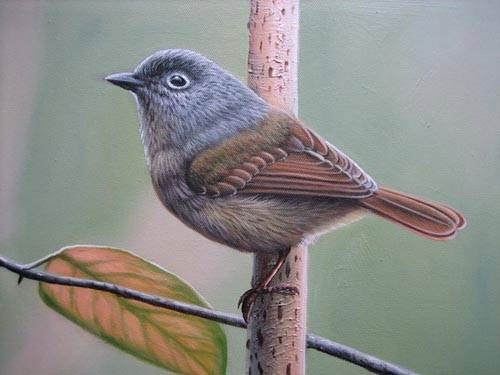 This is one of the most realistic bird painting where the bird is in its natural habitat. 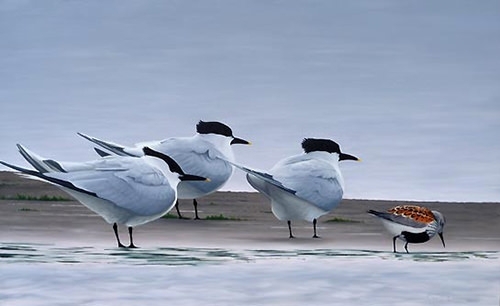 The bird and its surroundings look genuine and it looks more like a picture rather than a painting. 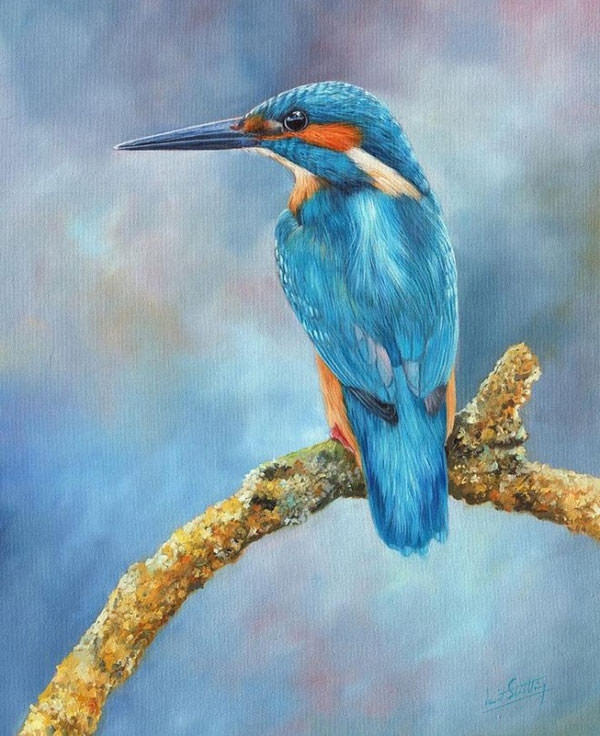 The painting also has a wonderful colour combination that gives an impression of picture in a natural look. 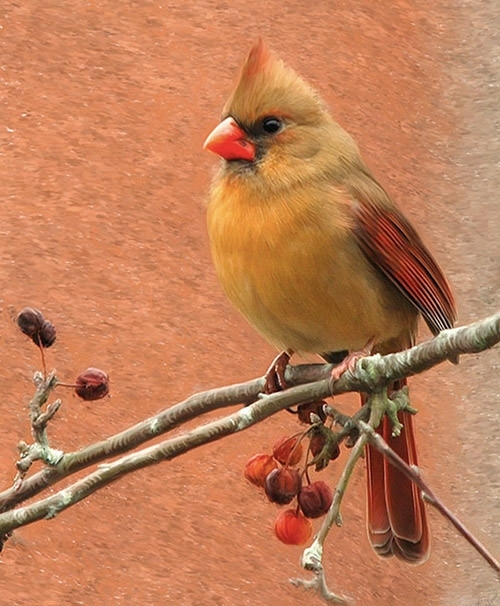 The red bird covers two-thirds of the painting, and the background is light blue with a hint of green. The red and blue come together to create a superb colour contrast. The picture also has excellent colour combination that provides marvellous effect to the overall painting. The white bird sitting on a branch and the red fruits create colour contrast. The painting is quite calming as colours have been used but sparsely, and this painting is quite soothing to the eye. 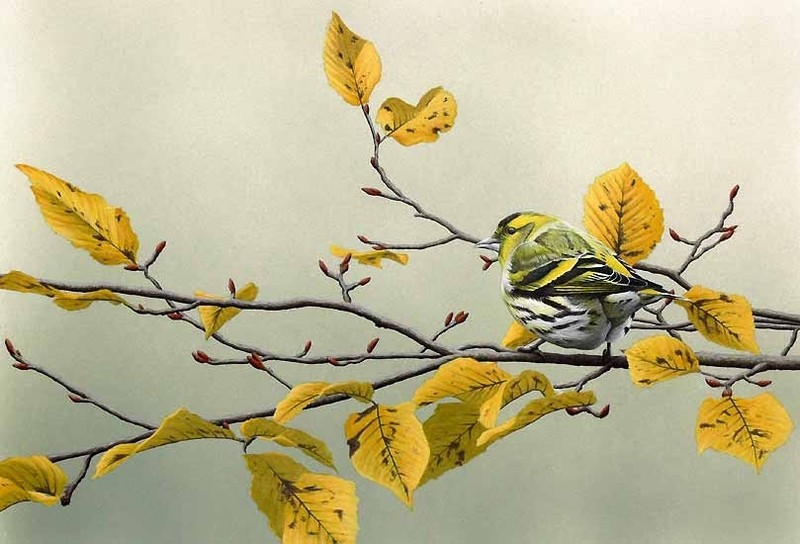 Contemporary designers take inspiration from paintings and early art representing birds and their habitat. The colour contrast, combination and the blend of all the elements like trees, flowers, birds, and the sky or their resting place can be visually stunning to look at. 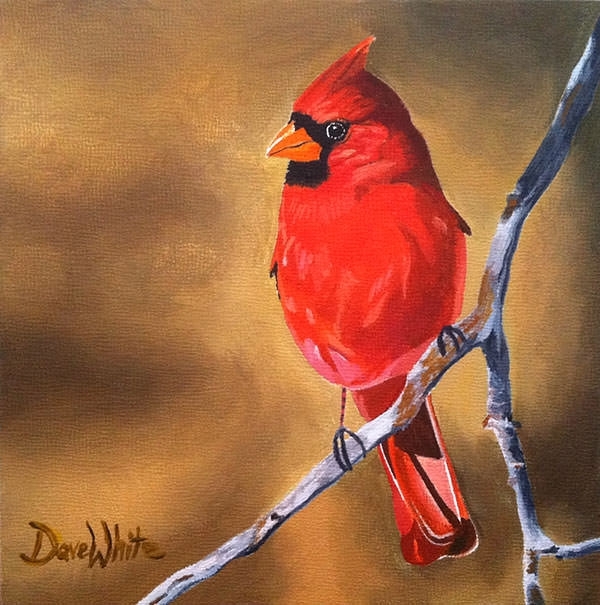 You can print these free bird paintings and hang them on walls. These will adorn your walls with a lot of poise. 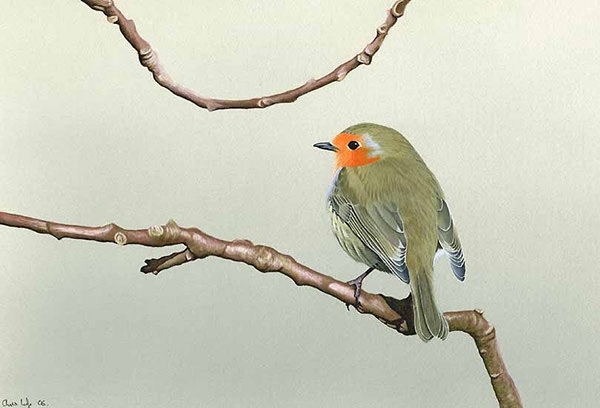 The paintings can be utilized as smartphone wallpaper or a desktop background, and wherever you put these bird paintings, these would be a calming influence on you.